YOUNGO is the official youth constituency at the United Nations Framework Convention on Climate Change (UNFCCC). YOUNGO is made up of organisations and individuals who identify as youth it is not an organisation, but, rather, a collection of groups and/or individuals. You can find more information in the FAQ document here: https://docs.google.com/document/d/1AOPhGbeC_YPbr3W7M5f7ELfXQIBZQfvARxa1mwftZs4/edit. The annual Conference of Youth (COY) brings young people from around the world together to learn about the UNFCCC, build networks and organise ourselves before the UN climate negotiations. The Conference of Parties (main negotiations) takes place in November and December each year. COY is the main summit of the youth constituency. YOUNGO is made up of organisations and individuals who identify as youth. Any young person can join and participate. The main way of engaging initially is through the Facebook Group, which lists the number of platforms and channels for participating. The next Conference of Youth will take place before the next UNFCCC COP in Marrakech, Morocco. Any young people attending the negotiations can attend COY, free of charge. 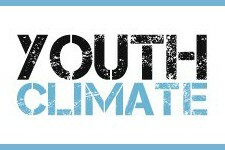 COY is organised by youth climate organisations, under the umbrella of the International Youth Climate Movement. Young people can attend the negotiations through the formal accreditation process of the UNFCCC via authorised NGOs, or attend through NGO campaigns and alternative programmes.